The House of Qs: The Best Holiday Binder/Organizer- FREE! The Best Holiday Binder/Organizer- FREE! The chaos of the holiday season is upon us. I do my best to start planning early for decorations, gifts, pictures and travel during the holidays. In my ADHD mind, I have to do things in sequential order and also have everything written on paper. Electronic/digital planners and reminders are just fine for some people and I use them as a back up but if I don't write something down, it isn't real in my brain. 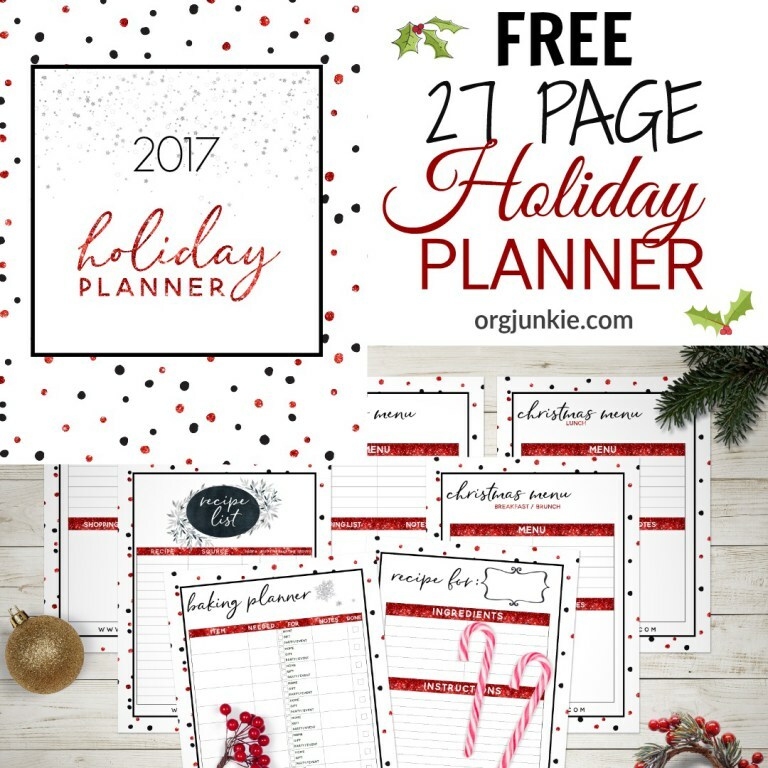 Each year, I search high and low on the web for a holiday organizer that fits my needs. This year's organizer has 27 total pages can be printed in black/white or color. This organizer comes from Laura over at OrgJunkie.com and meets every criteria and need on my list. When you click on the link, the organizer will open in PDF version. You can choose which pages you would like to use. Simply print the pages you want to use and add to a binder. Laura even included a binder spine printable! I love attention to detail. 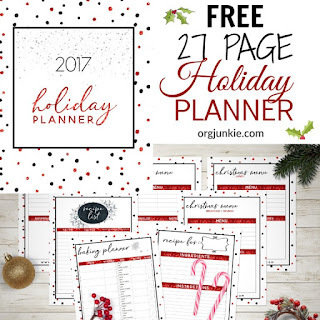 To get the 2017 Holiday Planner from OrgJunkie.com, please click here. How do you get (and stay) organized during the holidays? I would love to know your tips and tricks so please share!